The beginning of weekends are always the best, brimming with so many possibilities. Of course Sunday night will roll around and we'll wonder how the hell 48 hours slipped past us. 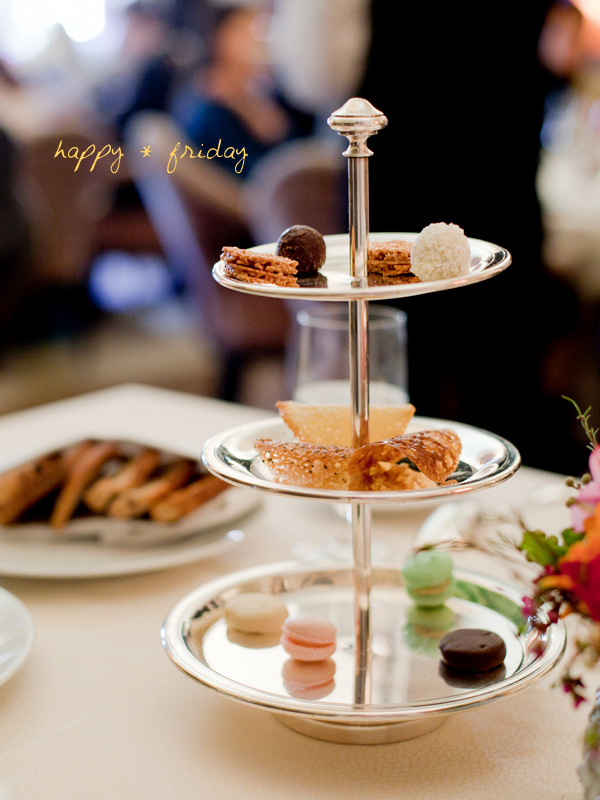 Those petits fours look delicieux! Enjoy your weekend! Those macarons are adorable. Went to ChaAn this weekend and they sat me right in front of a whole trayful at the bar. The temptation never ends! Also, I really need to get to Bouley for lunch sometime soon. Looks soooo good the way the light is hitting it. Makes me feel like I can just grab one!